Thank you very much for your interest in taking a private class with me. I do phone sessions only as much as my schedule allows. I don’t use Skype. 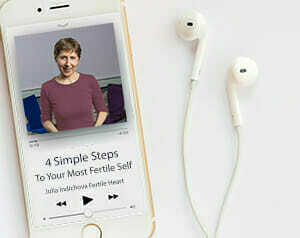 In the last decade and a half of working almost exclusively on the phone, since our studio is not within reasonable travel distance for most of my clients, I have found that this form of communication creates a particularly focused level of contact, and has been quite effective for hundreds of women and men I’ve had the privilege to work with. For in person work I’m available through the workshops only. For a more detailed information on individual sessions please email me at info@fertileheart.com. Also kindly fill out the questionnaire at the bottom of this note, and email it to me along with your request. You will be repeating some of this information during our call because often it’s in the “telling” that the clues become more visible. But I like to have a sense of what you’re coming in with before the call. 1) Your name and phone contact information. 2) Your username on the message boards if you have registered. 7) Anything else you’d like me to know. Please limit this to no more than a 300 word paragraph. Thank you! 9) How did you find our about my books or work? Here’s to the wise children who help us create the space to prepare for their perfectly timed arrival!